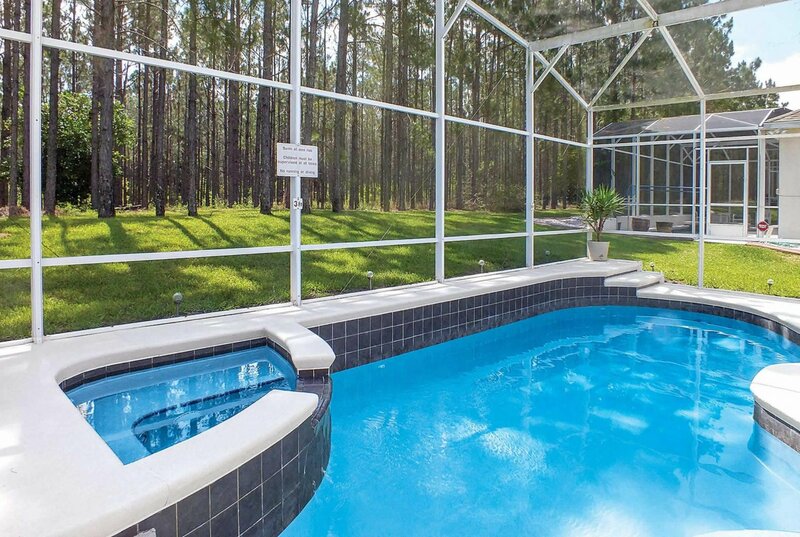 Set on the peaceful community of Highlands Reserve, a fifteen minute drive from Disney Parks, this villa is a fantastic choice for families or groups of friends alike. The villa is spacious and elegantly designed with modern decor and furnishings. The inviting private pool overlooks the calming trees of the resort and with a barbecue available to use, why not enjoy the sunshine whilst you dine! Children and adults will love the games room, with various different activities to enjoy when you take a break from visiting the wonderful parks and all the fun that Orlando has to offer. Be the first one to tell us about your rental experience while staying at Merion Executive Plus. Let us know if the listing matched your expectations. You can share your comments about the location, property owner/manager and all the unique features that made your stay a memorable one.